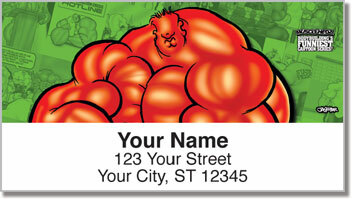 Sending mail isn't always the most fun, but just because it's boring doesn't mean you can't get pumped with these designs from John Gleinicki's Muscleheads series. 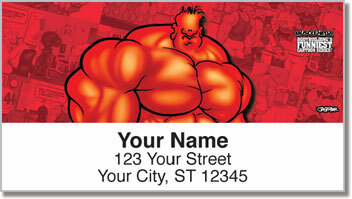 Featuring men in a variety of pumped up poses, the bodybuilders on these address labels are all jacked up and ready to take life head on. If you're a fan of the protein shake and love nothing better than spending a couple of hours at the gym, this art is perfect for you. 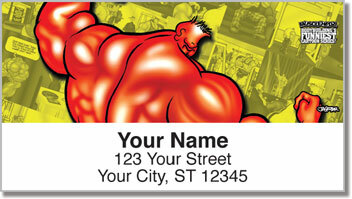 Get Musclehedz designs on our address labels. 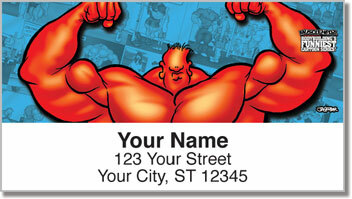 Get pumped up and get free shipping while you're at it.